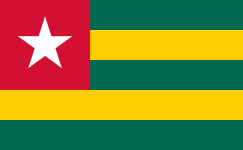 Flag of Togo. FOTW.us. Flags Of The World. [2007-06-09]. （原始内容存档于2007-06-07）.